This wooden machine has a sturdy wooden construction ideal for classroom use. 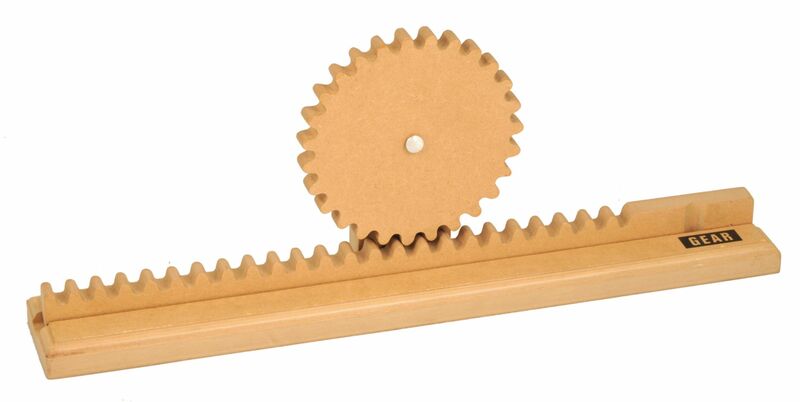 This apparatus can demonstrate how gears can turn rotational motion into translational motion. Includes an instruction manual to facilitate student and teacher use of the apparatus.